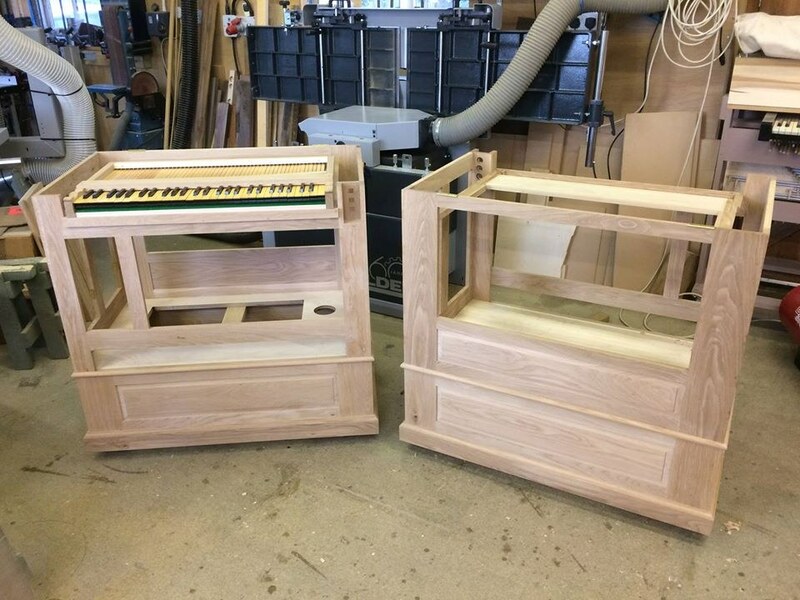 Just started a couple of continuo organs. 3 stops including 8ft Stopped Diapason, 4ft Chimney Flute and the option of a 2ft Fifteenth or an 8ft Regal. These two are for the Guildhall School of Music and Malcolm Greenhalgh. Built in two sections measuring 1M x 1M x 0.6M overall in order to fit in the back of an estate car. More to follow….